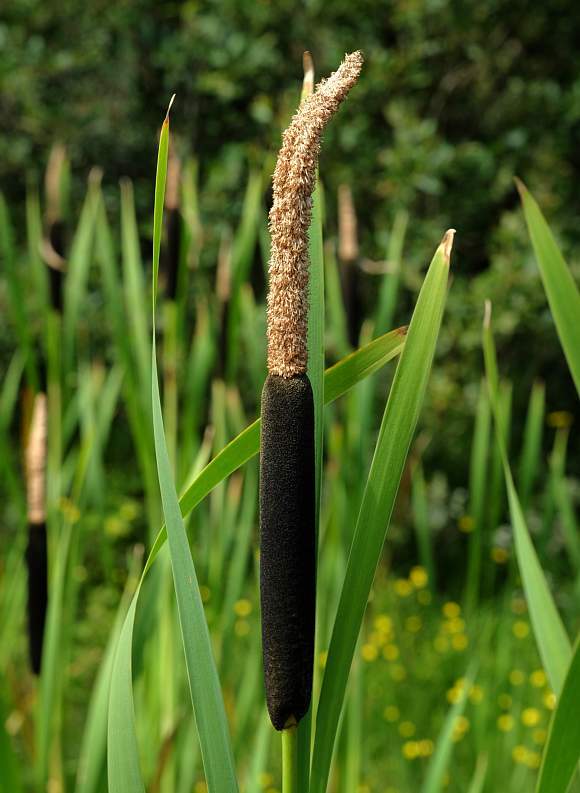 Note that the Bur-reed family Sparganiaceae has now been subsumed into the Bulrush Family [Typaceae], which, according to current taxonomic thinking, it more closely resembles. 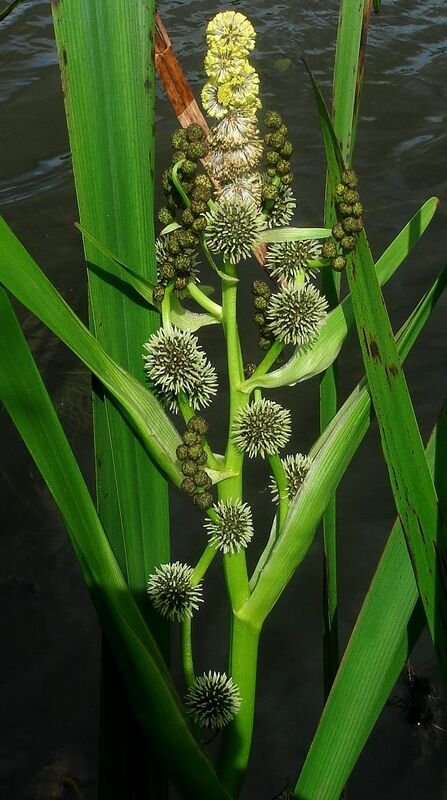 There are only four members of the Bur-reed family: Floating Bur-reed and Least Bur-reed, Un-branched Bur-reed and Branched Bur-reed, but with regard to the latter there are 5 sub-species. 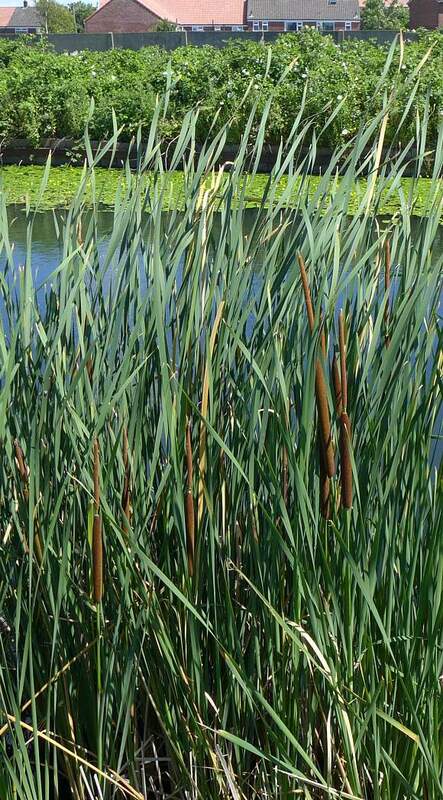 There is also a hybrid between Floating and Un-branched Bur-reeds. All members are aquatic or found beside of water, and are perennials. The female flowers are tiny and green. The male and female parts are distinctly separate but on the same plant. The male flowers are yellow after the fading anthers have died back, but above the female flowers the male flowers are always green by way of the stigmas, and in globular heads. The leaves are long, flat and linear. The fruiting heads are bur-like with well beaked fruits.